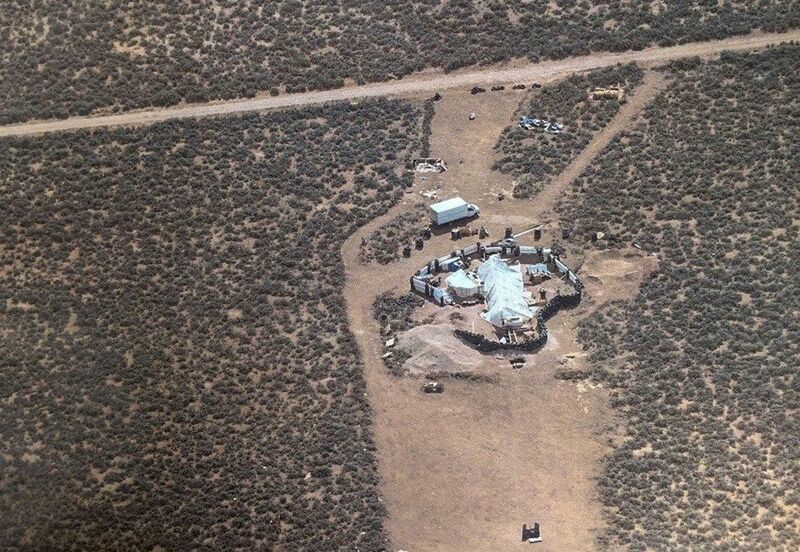 The makeshift compound in Amalia, New Mexico, where police rescued 11 children and arrested two armed "extremists." Los Angeles - Police say 11 children ages one to 15 were rescued in the US state of New Mexico after officers raided a makeshift compound occupied by armed "extremists". 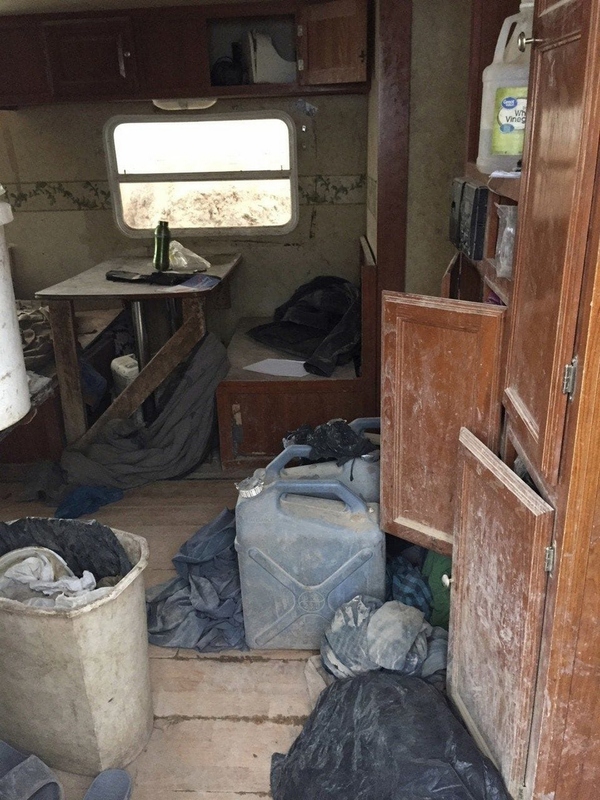 Two men were arrested after police found them and the children in what one officer called "the saddest living conditions and poverty I have seen," as part of the operation connected to a months-long search for an abducted three-year-old, according to New Mexico's Taos County sheriff's office. The boy's mother told police her child, who she said suffered from seizures along with development and cognitive delays, went to the park with his father Wahhaj last December and never returned. On Aug 2, Sheriff Jerry Hogrefe of Taos County in New Mexico issued a search warrant describing "a makeshift compound surrounded by tires and an earthen berm" in a subdivision, where Wahhaj along with adult Lucas Morten were thought to be. The FBI had provided information and surveillance on the spot but "didn't feel there was enough probable cause to get on the property," Hogrefe said. "That all changed for me when a message was forwarded to us from a Georgia Detective that we reasonably believed came from someone at the compound - the message sent to a third party simply said in part 'we are starving and need food and water,'" the sheriff said in a statement. "I absolutely knew that we couldn't wait on another agency to step up and we had to go check this out as soon as possible." The sheriff described planning "a tactical approach for our own safety because we had learned the occupants were most likely heavily armed and considered extremist of the Muslim belief." On the morning of Aug 3, a dozen officers kicked off the "all day" operation, discovering the two men with an AR-15 rifle, five loaded 30-round magazines and four loaded pistols, including one in Wahhaj's pocket. Morten was charged with harbouring a fugitive and Wahhaj was booked without bond on his Georgia warrant for child abduction.